As a home or business owner here in the Davidsonville area, you want to be able to take pride in the appearance of your property’s appearance, and that can be difficult if it has been a while since you’ve done anything to touch up the appearance of your property. Fortunately, if you are looking for a great way to bring new life to the interior or exterior of your home or business, the team of experienced Davidsonville painting contractors here at Annapolis Painting Services have the skill, training, and experience necessary to provide you with just that. 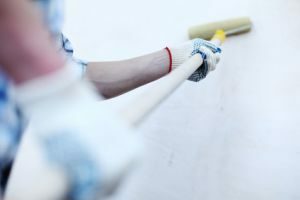 Our team of professional painters specialize in interior and exterior painting, power washing, carpentry, roofing, and even siding services, so no matter what you need to spruce up the look of your property, our team of experts have the answer on hand. With our help, you can transform the look of your property in ways that you might never have been able to imagine. When you are looking for the highest quality painting service in the Davidsonville area, you need only look as far as the team of professionals here at Annapolis Painting Services. For over thirty years now, our team of experts have been providing local home and business owners with the service they need to get the most from their properties in terms of both value and beauty. If you have any questions about our full line of high quality interior or exterior painting services, or if you would like to schedule an appointment for consultation with one of our knowledgeable and courteous staff, give us a call today. Our team of experts are always standing by and would be more than happy to assist you in any way we can. Here at Annapolis Painting Services, our team of experienced interior painting specialists can handle any job you throw at them, no matter how big or complex it might be. From single room residential projects, to painting the entire inside of a large commercial property, we have done it all over the years, and left a trail of extremely satisfied customers in our wake. No matter what the task is, you can always count on our team of experts to approach it with the same level of commitment and dedication to delivering exceptional quality results. We are never satisfied with our work until we are sure it is done up to your complete and total satisfaction. When you make the decision to paint the exterior of your home or business, it is important that you ensure you have the assistance of a team of professionals that you can entrust to deliver the high quality results you need to maximize the value and visual appeal of your property. Exterior painting projects require a unique knowledge and a certain set of skills to do correctly, and if they aren’t done so, your new paint job would wind up doing more harm than good, especially to the overall value of your property. When you hire the professionals here at Annapolis Painting Services, you can rest assured that your home or business will come out of the project looking as good as possible. If you are looking for a professional painting contractor in Davidsonville, give us a call today at 410-974-6768 or fill out our online request form.